This touching, evocative and thrilling tale of family, belonging, growing up and the Australian bush is as enjoyable today as when first published 32 years ago. With a new forward by the author and simply rendered black and white line drawings by Alvarez, Eleanor, Elizabeth is set in 1959/60. It’s the story of 12-year-old Elizabeth and her family, who relocate to a remote farm that was home to her grandmother, Elizabeth. Eleanor struggles with the new situation, including unwelcoming classmates and an equally harsh climate. An abandoned schoolhouse sits among the farm’s old outbuildings. It’s full of webs, old junk and dark corners and when Eleanor decides to explore one day, she discovers her grandmother’s diary, written when she was just 13. Through the diary, not only does Eleanor get to know her grandmother and the commonalities they share, but she learns about Elizabeth's special haven - a cave. It’s a spot that becomes a refuge for Eleanor, her brothers, and a new friend when a deadly firestorm sweeps the area. The fire is a dramatic high point and one that’s vividly conveyed as we follow Eleanor as she leads her small band to safety against many odds. The story ends with a gift from Eleanor's mother - a diary. It’s a fittingly touching gesture and one that brings the story to a satisfying end. In Gleeson’s new foreward, the now acclaimed author describes that she was suffering homesickness in northern Italy when writing her first draft of what was to be the first of her many awarded children’s books and novels. It’s a fact that clearly influenced her vivid rendering of the Australian environment, as does Gleeson’s revelation in the forward that she was impacted by her mother’s retelling of old family stories of regional settlement. 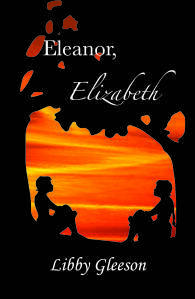 Eleanor, Elizabeth is more than a first novel; Gleeson says that its acceptance and success gave her the confidence to continue as a writer. Christmas Press is to be congratulated for reissuing this Australian children’s classic under its Second Look imprint. Just as it did when first published in 1984, the story is sure to delight and resonate with a whole new generation of young readers.